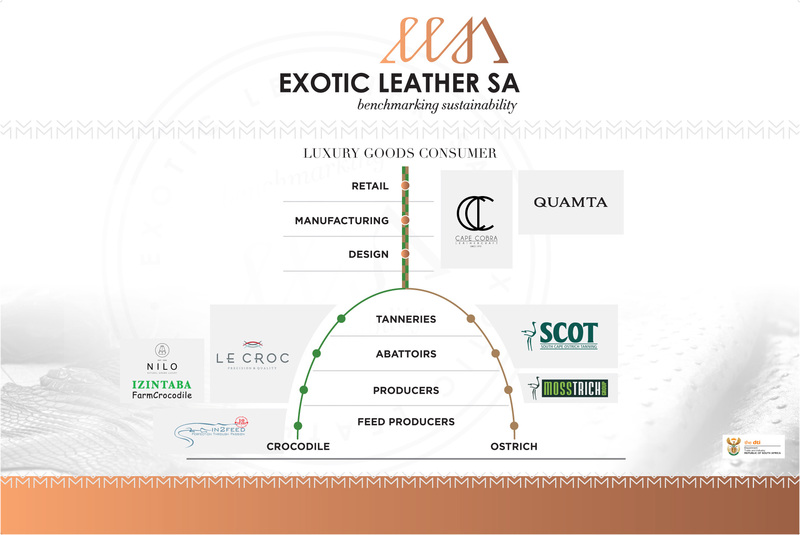 The University of Pretoria Senate approved the establishment of the Exotic Leather Research Centre (ELRC) together with Chairs in Crocodile Health and Welfare, Crocodile Production and Exotic Leather Trade and Marketing in August 2013. 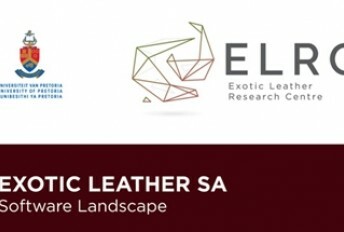 The ELRC acts as a Technical Collaborator for Exotic Leather South Africa, a sub-national cluster approved by the dti, registered as a non-profit organisation, responsible for developing best practice industry standards and benchmarks to improve the long term sustainability and global competitiveness of the industry. This will be achieved through the implementation of a host of interventions that are based on a comprehensive analysis of the industry’s needs. South Africa currently produces two types of exotic leathers, namely crocodile and ostrich leather. The crocodile and ostrich industries are represented by the South Africa Crocodile Industry Association (SACIA) and the South African Ostrich Business Chamber (SAOBC), respectively and include members across the entire value chain viz. producers, slaughter facilities, tanneries, manufacturers and retailers. 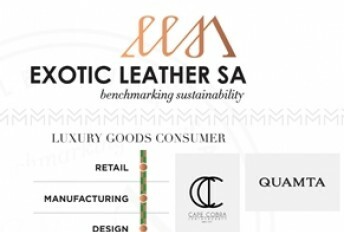 These bodies are responsible for setting the “minimum standards” for members and work in association with the Exotic Leather Cluster, South Africa.